Ankur was glued to the television watching the India- Sri Lanka Cricket World Cup final back in 2011. He was in Mumbai with a bunch of friends. I was in Kathmandu on work for a couple of days. I spent one entire working and the evening giving Ankur company, a few thousand miles away as I myself watched the match with equal enthusiasm. I just had one day left to see the highlights of the capital of Nepal. One day never does justice to any city, and it did not do so to Kathmandu as well. I wish I could have stayed a while longer and chatted a bit with the locals… or sipped more of the rice wine which is fairly high in its alcohol content. I hope to be able to revisit this lovely country… with Ankur this time! 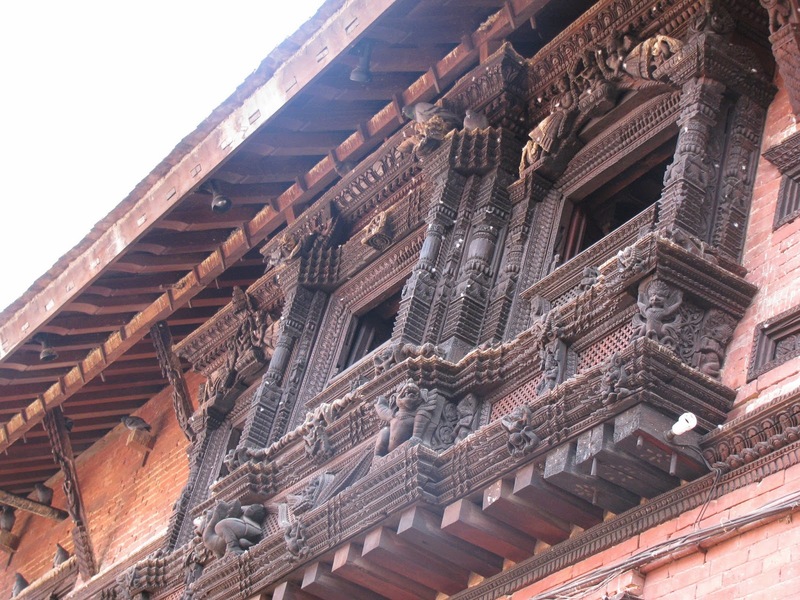 Kathmandu has three Durbar Squares, all three – Hanuman Dhoka Durbar Square, Patan Durbar Square and Bhaktapur Durbar Square are part of the UNESCO World Heritage site list. With little time at hand, I could manage visiting the first two only. If you simply say ‘Durbar Square’, most locals will interpret that this is place you want to go to. The construction of parts of this square go back in history to about 16th century, or so I have been told. All durbar squares in Kathmandu were in close proximity of the palace and this square follows the rule too. The square is so named as it the main deity here is the monkey-God Hanuman. There are temple all around. The temples representing Hindu and Buddhist faiths are constructed in pagoda style and reminded me of religious structures that I have seen in Hong Kong. I found the octagonal ones particularly interesting. The palace in the complex was the residence of the Nepalese Royal family until 20th century. It was fun peeping into the chambers and imagining how royalty lived, not until long ago. If I had to pick only one place to see while you are in Kathmandu, this is the one. 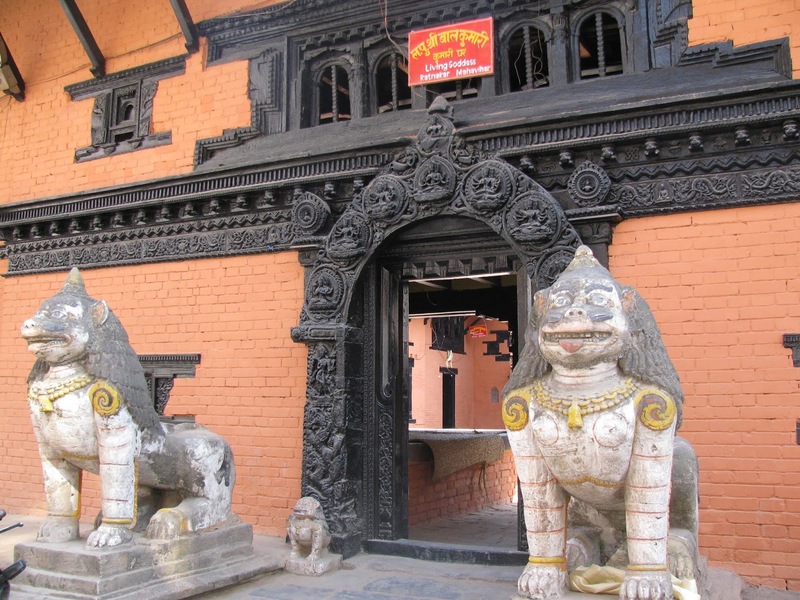 The Patan Durbar Square is located in Lalitpur. It’s older than the Hanuman Dhoka Square. Stupas here date back to 250 BC and are said to have been built by Emperor Ashoka. The temples here exhibit fine art. I have seen the carvings in the Jain temples in India, and these were as good. The wooden frames show the skill of the artisans. Also, I couldn’t stop admiring the large metallic statues on pillars that the shone in the bright sunlight. There is also a museum that can give you a peek into the history of the place. I would suggest that you budget at least 2 hours for the Patan Durbar Square, longer if you want to spend sometime in the museum. 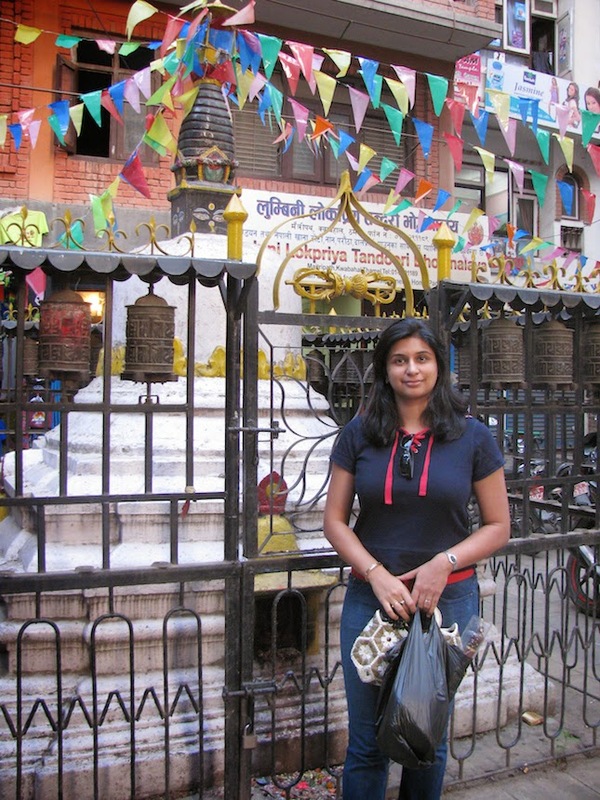 Visiting the holy temple complex of Swyambhunath needs time and energy both! If you do not wish to take any short cuts, you will need to climb about 365 steps to reach the main stupa. There is another option of taking the car to the ‘upper parking’ as well. However, the last leg will still have to be walked. The Syawambhunath temple was the first temple complex that I visited in Nepal and I could not stop myself from looking into the big dreamy eyes that were painted on it. The effort in walking up 365 steps was totally worth the views that I got from the top of the hill! The legend behind the temple is interesting. When this temple was founded about 2,000 years ago, Kathmandu Valley was filled with a lake and nourished a single perfect lotus. When the bodhisattva Manjusri drained the lake with a slash of his sword, the lotus flower settled on top of the hill and magically transformed into the stupa. 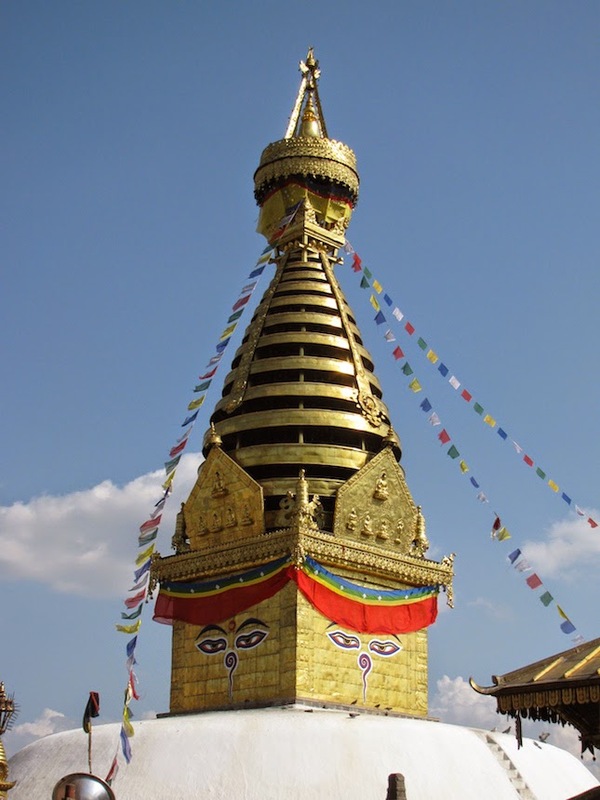 Thus it is known as the Self-Created (swayambhu) Stupa. There are plenty of monkeys here that are considered holy. The story behind this belief is even more interesting. While Manjusri was in the process of raising the temple hill, the lice in his hair transformed into these monkeys and there descendants continue to be here! This symbol of Buddhism is the largest single Chhyorten in the world. The stupa has a height of about 40 meters and a diameter of about 100 meters. The little coloured flags fluttering around added ‘Visit Tibet’ to my bucketlist. The mysterious eyes painted on the stupa looked watchful….eyes similar to those that I had seen at Swayambunath, but the expression seemed different. Something in me made me believe that the eyes carry an expression that mirrors the feelings in one’s heart. I made plenty of wishes as I turned the prayer wheels. Considering that all is well, I believe all wishes were heard! A tip for those who have a knee problem. Between Swayambhunath Temple and the Boudhnath Temple, I would recommend visiting the latter as you can drive right to its gate. The drive will also save a lot of time if you have only a couple of hours to spare. I say that I am not a shopper… I believe in it too! Picking up a souvenir isn’t shopping, is it? 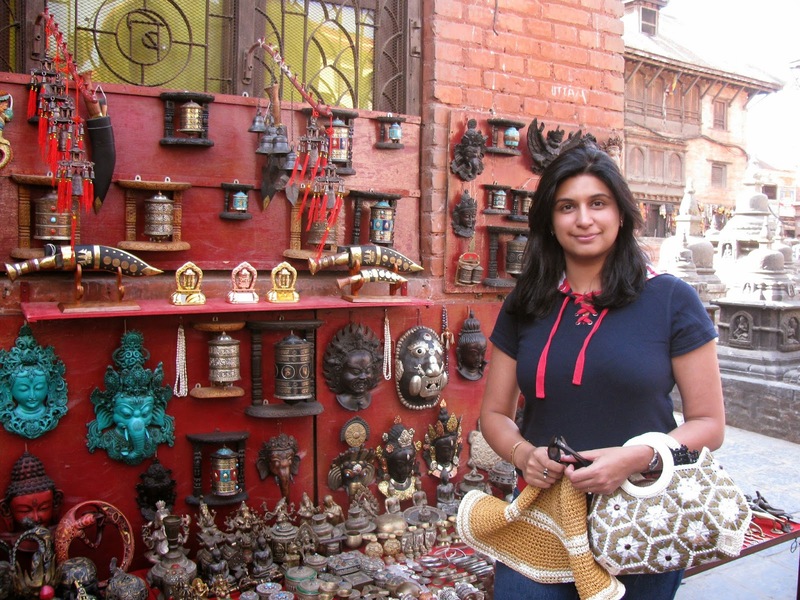 To those who like to shop, Thamel is the place. Don’t expect brands here. This place is full of local stuff…handicrafts, purses, bags, artifacts, woollens, pashmina shawls… the entire range that will keep you warm in the Himalayan winters. You can try your hand at bargaining, but don’t expect prices to come crashing down like those in the Middle Eastern souqs. Also, there are chances that the souvenir you are buying was actually manufactured in China; do your checks for authenticity. I would give the same advice if you intend to pick up a pashmina shawl – check the percentage of pashmina wool in the fabric. I picked up a fleece lined sherpa cap that kept me warm in the Arctic winter of -25 degree Celsius. I also picked up a sling bag that has travelled across South East Asia with me…and makes regular visits to the mall with me when I am not travelling! Does Nepal inspire you? The flight from Bhutan to Nepal is supposed to have the most beautiful views on the planet. We haven’t been on the flight as yet… but its surely there on our bucketlist! Are these places still there? They must be severely damaged or destroyed now! It’s interesting to see how these things used to be, it’s awful what happened to the UNESCO site. Nepal is indeed a lovely place. The Himalayan Kingdom retains an old world charm which is so endearing. 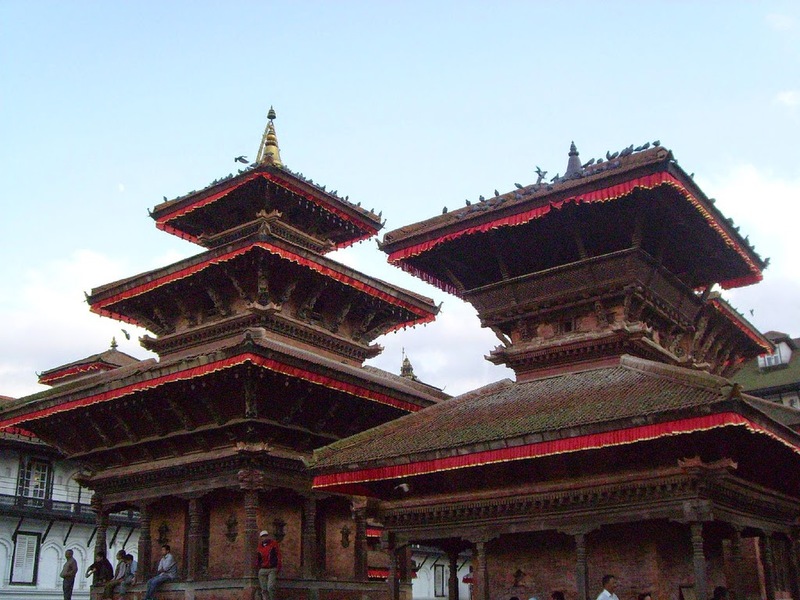 Kathmandu with its historic temples is indeed a feast for history and art lovers. It is a pity that so much was destroyed during the earthquake. But good to note that restoration is progressing. Really inspiring. Good that I found this post. 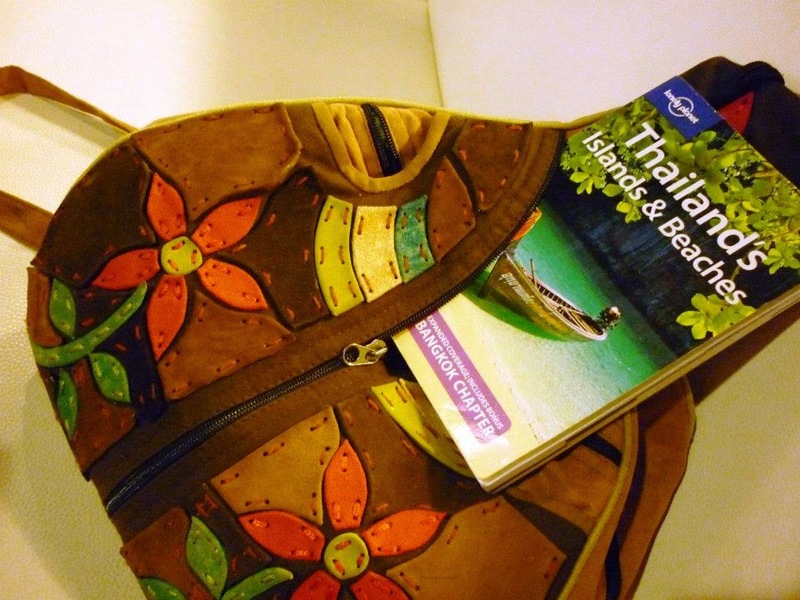 I am planning for Nepal after my Thailand trip. I spend quite some time in Kathmandu myself, but mainly having bagels at the bakery and just relaxing. I did visit Durban Square but I like the Swayambhunath Temple the best. I don’t remember if I climbed all the stairs or not but the views were amazing for sure! I’ve always wanted to go to Nepal. When I talk to people about it, they seem surprise because they think there is nothing else apart from Mt Everest. But you’ve shown exactly that there are so many to see. The Boudhnath Temple has got me most curious! You are so right that one day in a city doesn’t always do them justice. I would love to try the rice wine with the high alcohol content, especially when stressed. The Patan Durbar Square looks amazing and I do agree that the carvings are just as impressive as the Jain temples in India. I’d love to go to Nepal, and to see all these things. Are they all still available/standing after the earthquake? 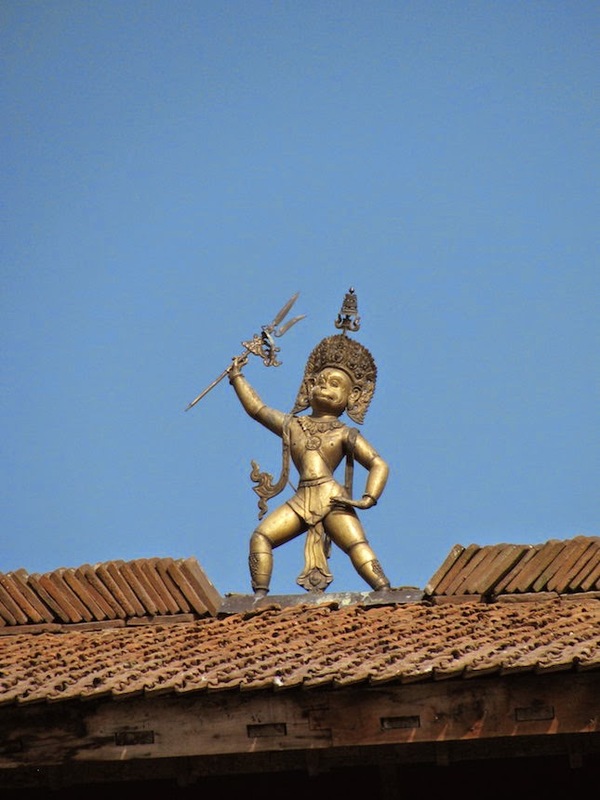 Kathmandu has such magical qualities in the eyes of travelers, I hope they have recovered and rebuilt after the tragedy and that travelers can once again share these beautiful places. I would have loved to have seen Kathmandu before the earth quakes. It’s still on my list to do. I’d love to do the flight from Nepal to Bhutan just to capture all those amazing photos.